I'm back home this weekend after 4 weeks of nightshift 12 hours on and 12 hours off....knackered and ready to relax. I have promised myself that this year will get me started on the water. With that in mind is anyone going to be out and about on Monday and Tuesday of next week 28th / 29th, ( wife at work, kid at school) somewhere local to Central Scotland. I'm ideally looking for an over-nighter as well, but somewhere easy going for a beginner. As they say in Glasgow " All suggestions Weclome" (stolen from still game). Can't fit an overnight trip in but may be available for a paddle on the Monday depending on how my invalid sitting goes (Jo has just had an operation on her knee). The following weekend I am planning a short overnighter, probably on Loch Lomond on the Saturday night. John, what about a trip down to Loch Doon area to see if anyone is about after the Easter meet, I will take my kit and do an overnighter or not at least I'll have it with me. Following weekend I have commitments Sat and Sunday then off to Barcelona Mon to Fri, but have the whole two weeks after that free. Not Free, but Loch Ken is a great spot for a beginner ( visited there last year ) with a good campsite half way down, and Loch Voil into Lubnaig is supposed to be a great 2 day trip - again, it has a campsite half way down. Been meaning to do that one for a while but planning on a 3 / 4 day trip to Loch Maree early April subject to weather. Loch Doon is probably a bit far for me if I do get a paddle in. Chances are it will just be an hour or so at best for me at Castle Semple. No problems, looking at the weather Loch Doon might be a bit exposed with forecast strong winds from the south. With that in mind any suggestions on a nice east to west Loch with good camping. I was thinking Loch Ard or Loch Voil / Loch Doine what does anyone think? 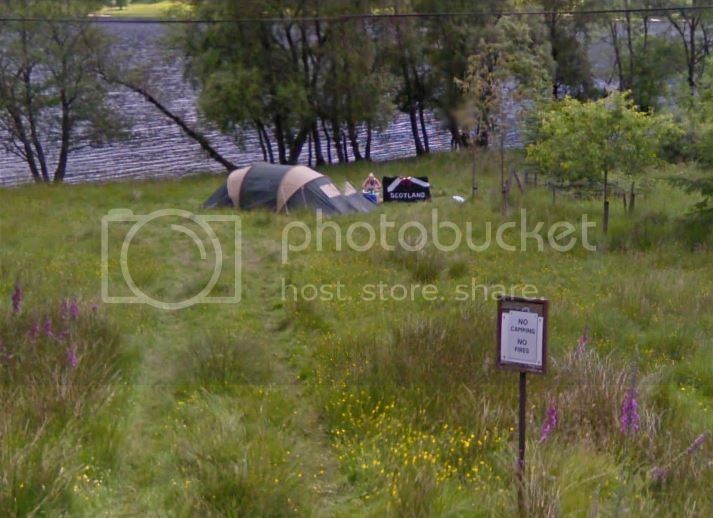 Just looking at Loch Voil on Google Maps and on streetview there seems to be a lot of No Fishing No Camping No Fires etc etc Then I came across this!!! Good old Scottish, aye is thatta fact pal!